Josh and I met because we were destined to meet. We were laughing the other day about our circumstances beforehand. What clueless kids we were! I was pissed off for being assigned to Spanish. I was better than that, capable of far greater challenges, completely devastated by this silly little existence. Josh was re-classed from SERE school (AF special forces) into munitions and he was pissed off for being undervalued and having his talents wasted, devastated by this silly little existence. We thought we were so damned amazing. Of course we had to be together. We had to teach each other lessons about how we fail miserably and how we can succeed. I already knew all these things about myself, but I never recognized their power to destroy or maintain a relationship. Your personality is like a toolbox... if you use the tools correctly you get the job done, but if you try to saw wood with a screwdriver you're in for a lot of pain and frustration. Yesterday I was reminded of something I noticed about our society quite some time ago. George Takei had posted an article of comics depicting sexism that's thrust upon boys. I agree. I have 3 boys and I see how they are pressured to fit into this macho mold. That's not what I want to talk about though... that moment closed the circle for me. I spend an inordinate amount of time out in nature and, like Einstein so aptly suggested, it helps me "understand everything better". Lately the lesson I have been shown over and over again is how arrogant we are as humans. For no real reason that I can think of other than our desire to be in control, we write off most of our behaviors to choice. Why? That's what I want my words to be. And that's all that matters". It's always been in me. Disclaimer :: I KNOW this won't apply to all people. I'm talking about the general separation that we keep between us, black and white. Where did it come from? Why is it so regional? I speak from my own personal experience. If you don't have this experience I am honestly very happy for you! On this day we appreciate and show gratitude for all those special women in our lives. We recognize, as a whole country, the importance of the role of "mother". So, it was interesting that I had an attack of self-loathing yesterday while we were celebrating early. I don't deserve this. I'm worthless, weak, a coward, a failure, lumpy and bumpy, crooked, broken <>. It happens once in awhile. It lasted until the morning despite my efforts (and Josh's) to help me process the REALITY from the emotional conditioning I've heaped onto myself over these 33 years of life. It helped a little, but still I was feeling very guarded this morning. Then I decided to write about it instead. Here's what leaked out onto the page and liberated me from feeling worthless. Maybe you can draw some insight or inspiration. We all do it, or have done it at some point in time. In any given day I have quite a few questions go through my head... much like a big toddler. I always catch myself looking at something outside and suddenly going "now wait a minute WHY is it like that?!". Or I'll be at school and have to jot down all my big questions during lessons so I can look them up later. Lately my questions have been profound enough that google doesn't have the answers for me. Here's a few that have been trapped in my brain, looking for hints to their big answers while I live my life. Trying to figure out how much further and deeper I can take a question and apply it to something practical. - Why do sycamore trees shed their bark in winter? What is the evolutionary reason? Does it provide a benefit? Is it just a random mutation? There are 3 main hypotheses as to why, but none have been tested. Last week I suddenly sprang awake at 4am and HAD to write. I began writing a list of 10 self-limiting behaviors I have faced and changed over the past few years. I scoffed that I felt like Moses receiving the 10 commandments or something, how immediate and necessary it felt... so much so that god woke me up at 4am! Then I kept it all to myself. I knew I was supposed to share it, but whatever. I chickened out. Then I had a very obvious dream last night that I put on 10 nicotine patches all over my torso and hid them under a shirt. As I sat there I got ill because the drug was overflowing my system. I knew it was about those realizations. So, here are the ten lessons I've learned (among so many) and am still fighting to detox from my mind. Hopefully, if you're guilty of any of these you will be able to face them and change too. Or, if you aren't guilty, you will know me better. I would like everyone who knew me then to know me now. The past couple months have been difficult for me on a very personal level. Apparently all my studies and personal growth over the last couple years were preparing me for this huge task of confronting my inadequacies, accepting them, and learning how to live with the knowledge that I may never truly change certain aspects of myself. In keeping with my desire for truth I'm not going to share with anyone my real fears. It doesn't matter. What matters is that they exist and I'm working on them. No matter what it is the process is the same. The struggle is the same. Not knowing will keep everyone unbiased and hopefully introspective. 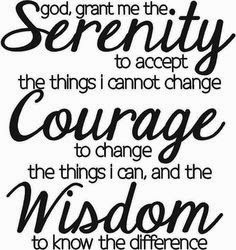 That old serenity prayer that everyone knows... I finally get it. It's about external influence, but it's also about self discovery. Growing up in a landlocked state like Ohio means that I am fascinated with beaches. A beach in winter to me is like some kind of bizarre unnatural spectacle that must be seen. So, I went to check out my local beach in winter. There are waves crashing into ice-covered driftwood, you guys. For me it was like watching a ferocious lion play with a baby hamster or something. The juxtaposition of winter in a "summer place" made me giddy. It was cool. I saw seagulls sliding around on a frozen lagoon. They would glide overhead, land and slide around a bit, and then they slammed their beaks into the ice to break through and grab what little morsels they had spotted from the air. I saw ice sheets covering the sand with ripples in them.